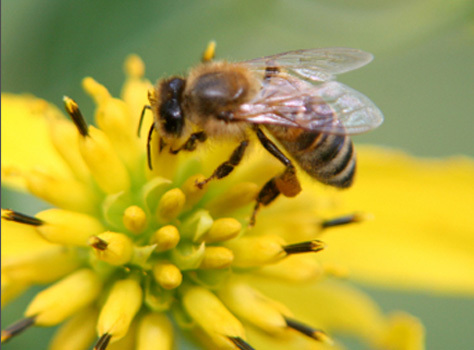 Our number one selling product; prepare to be amazed! 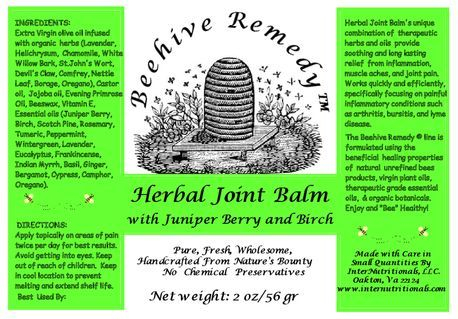 Herbal Joint Balm is a potent combination of organic botanicals and therapeutic essential oils which concentrate on reducing inflammation, liver detoxification, and providing soothing and long lasting relief of muscle ache and joint pain. 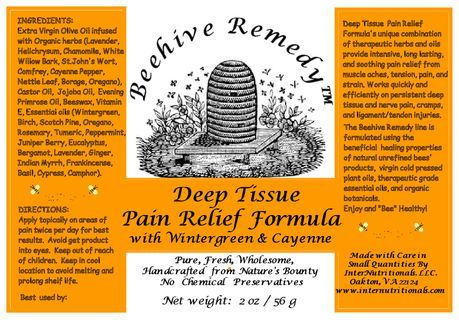 Particularly effective on pain which stems from arthritis, and other inflammatory conditions such as bursitis, joint pain, tendonitis, and inflammatory pain as a result of adhesions or scar tissue from old injury and/or surgerical procedures. 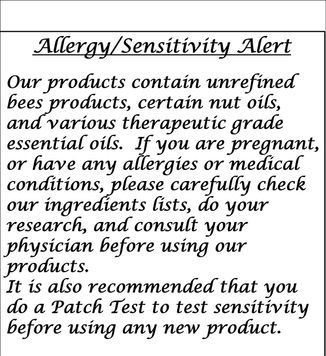 Best used by directly applying on and around the area of pain. A best seller which helps you get active again! 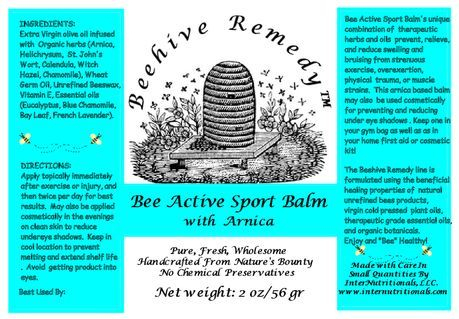 Bee Active Sport Balm prevents, relieves, and reduces swelling and bruising after strenuous exercise, overexertion, physical trauma, or strains, This arnica and blue chamomile based product significantly reduces recovery from bruising but is also gentle enough to be used cosmetically for reducing dark circles under the eyes. Buy one for the gym bag, one for your home first aid kit, and another for your make-up bag!